Who wouldn't want to play this game? 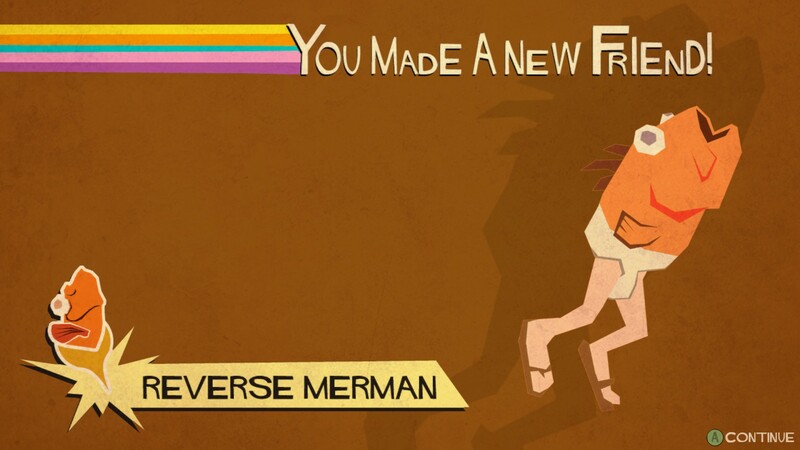 I've been playing Bit.Trip Runner 2 for the past few days, and the charm is thick with this game. It's narrated by the voice of Mario himself, Charles Martinet, it starts off with a fake ad for things like Milk Brine, and you run into characters like Reverse Merman here. I plan on writing more about this as I progress, but if you're looking for a bizarre perpetual running platformer crossed with a rhythm game, this is your jam. These games are frustrating, to be sure, but much like Super Meat Boy there's no better gaming feeling than acing a level. I've been playing Bit.Trip Runner 2 for the past few days, and the charm is thick with this game. It's narrated by the voice of Mario himself, Charles Martinet, it starts off with a fake ad for things like Milk Brine, and you run into characters like Reverse Merman here. I plan on writing more about this as I progress, but if you're looking for a bizarre perpetual running platformer crossed with a rhythm game, this is your jam. These games are frustrating, to be sure, but much like Super Meat Boy there's no better gaming feeling than acing a level. I've been playing this one as well. I am so into it. Bit.Trip games rarely fail to please, but I really feel this is their best one yet.